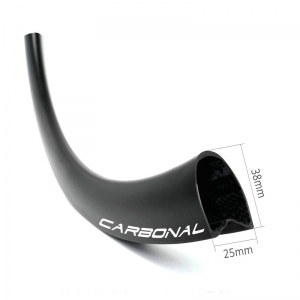 Wider and lower profile makes these tubular road disc bicycle tubular rims super lightweight, perfect handling on corners, cross winds conditions, it's a good choice for cyclocross and climbing. 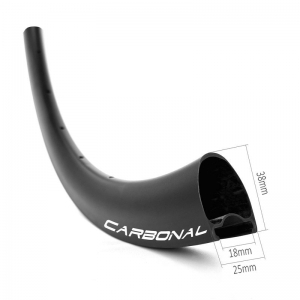 Wider rim profile offers improved aerodynamics, better handling in crosswinds condition and faster riding. 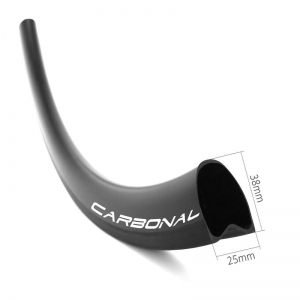 U areodynamic shape makes road tubular rims lightweight but still stiff, keeping them stable in cross winds condition. 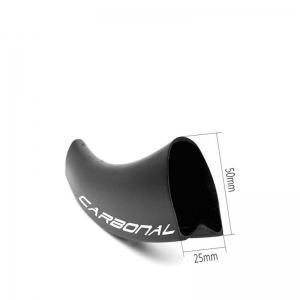 Item DT38S, weight 330g, ERD 569mm. 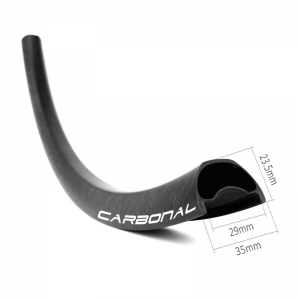 Wider and U shape 38mm deep aero designed rim profile, constructed with premium Toray T700 & T800 carbon fiber, makes this disc tubular rim super light, a good choice for lightweight road wheels. Item DT88S, weight 530g, ERD 469mm. 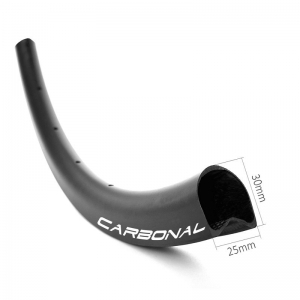 Wider and aerodynamics designed rim profile, 88mm deep rims for bikes are with 25mm wide, it's a trend in road and triathlon road bicycle wheels. Wider rim & wheel makes the tire’s sidewalls more vertical. Item DT60S, weight 430g, ERD 525mm. 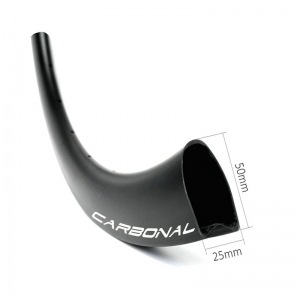 This 60mm tubular road disc rim perfect fit wider tires from 24mm to 35mm width used on most disc brake road bikes. 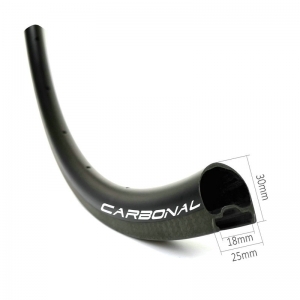 25mm wide U shape is aerodynamic, stiff and durable enough for training, racing. 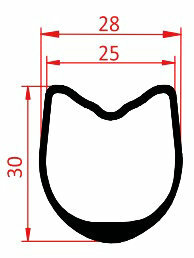 Item DT38D, weight 330g, ERD 569mm. 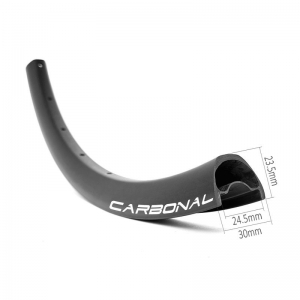 Constructed with premium Toray T700 & T800 carbon fiber, makes this asymmetric 50mm deep disc road tubular rim light but stiff, build into a lightweight road bicycle disc carbon wheelset. 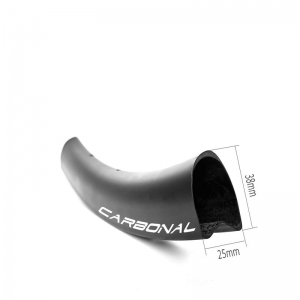 Item MX742TR, weight 410g, ERD 557mm. 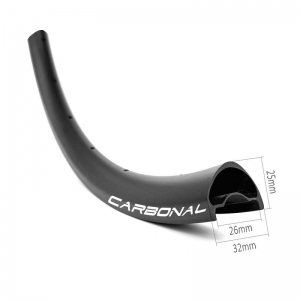 This 650b trail rim tubeless compatible with 42mm wide & 25mm deep profile, it's specially designed for customers who likes to ride with wide mtb wheelset for better corner control and fast speed. 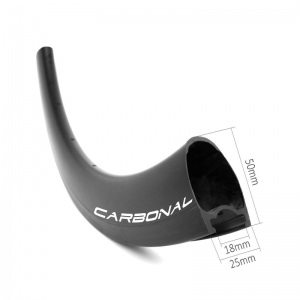 Item MX742DH, weight 540g, ERD 557mm. 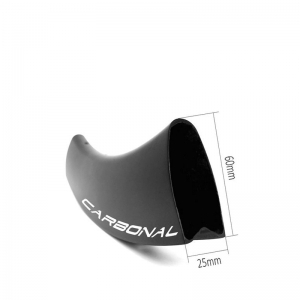 Downhill 27.5er mtb carbon rim, 36mm inner width can fit wider mountain bike tyres. 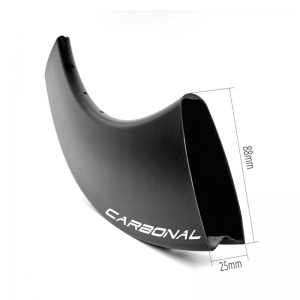 These downhill carbon rims feature strong, stiff, durable and compliant carbon rims designed for punishment.